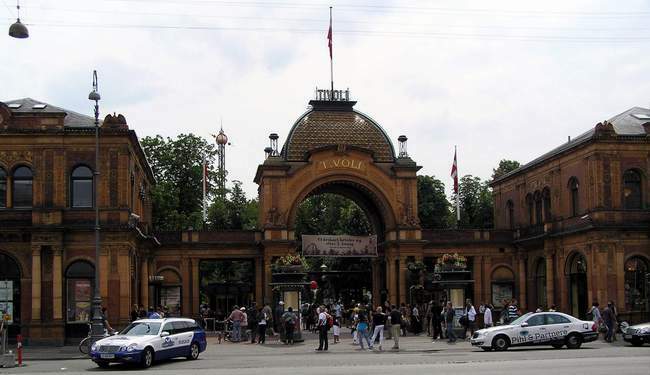 Tivoli is not just for tourists, Danes go there regularly too. 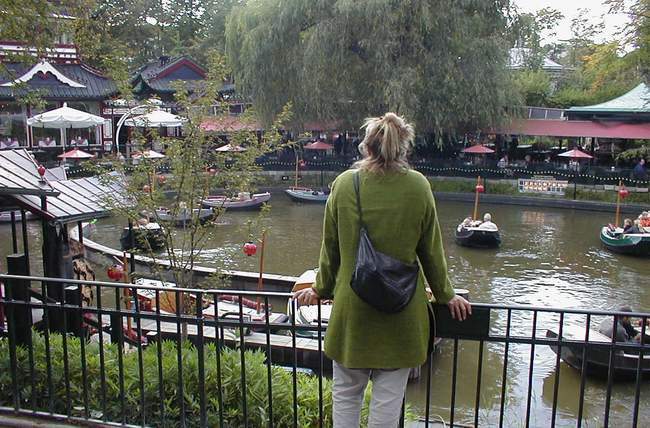 Not exactly Disneyland, but Disney may have actually copied the concept from Tivoli. Rather classy, a blending of family & youthful interests, a venue for cultural events, with a variation of prices to suit almost any budget. Admission costs have actually dropped this year, so that it's quite reasonable (39 kr), and once you're inside there's a lots of free entertainment : concerts, circus numbers, pantomine theater, everything very pretty and laid back, nice places to eat and drink, scads of impossibly beautiful girls (& guys) running around looking to have fun, and wild rides if you're interested. Another amusement park farther out of town is Bakken, which is gratis entry, and a bit more working-class atmosphere, no reason not to try them both. 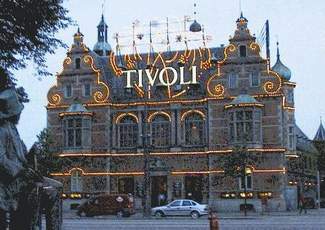 You can find a link to Tivoli's own official web site in Kbh Links.